I hope they fix this for you! 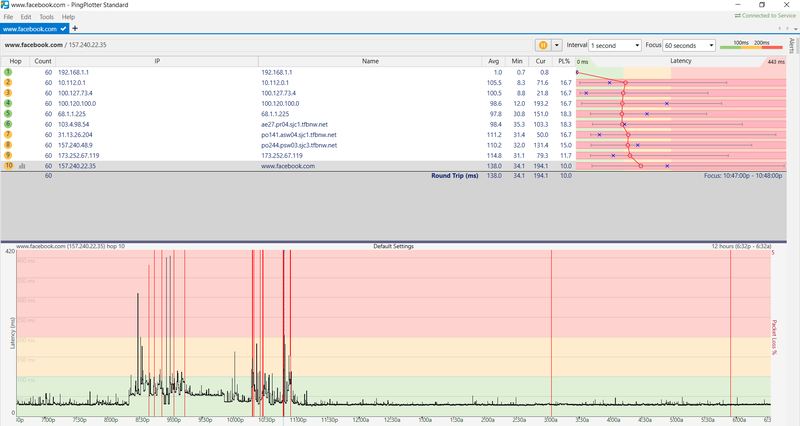 I'm in Las Vegas and just had my first packet loss issue tonight. Download is fine, Upload speeds are at crawl speed and I can't play Fortnite or stream on Twitch since 6 PM, just about 8 hours now. Tech support told me my modem was bad, no other complaints in the neighborhood. So I went to Walmart and got a brand new one... $97 later... still 25% packet loss in Fortnite and 50% loss in StreamLabs. Tried disconnecting the router, no go. Service was 100% perfect for months now... I think I took it for granted. This is horrible! They have an appointment setup for tomorrow and no way to escalate the issue because nobody else is reporting it. 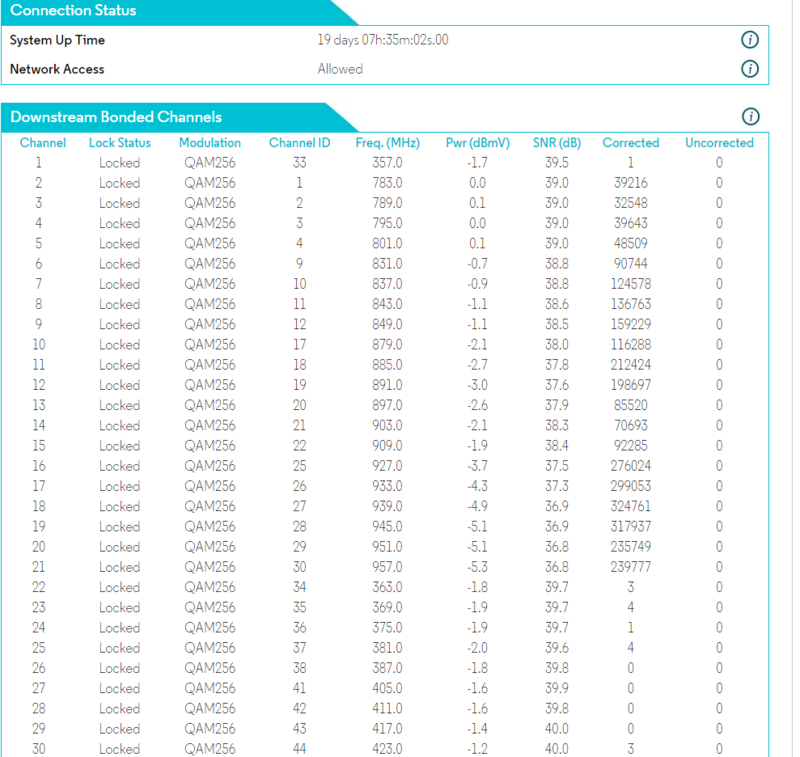 The packet loss is only on the upload, so probably nobody even notices it. 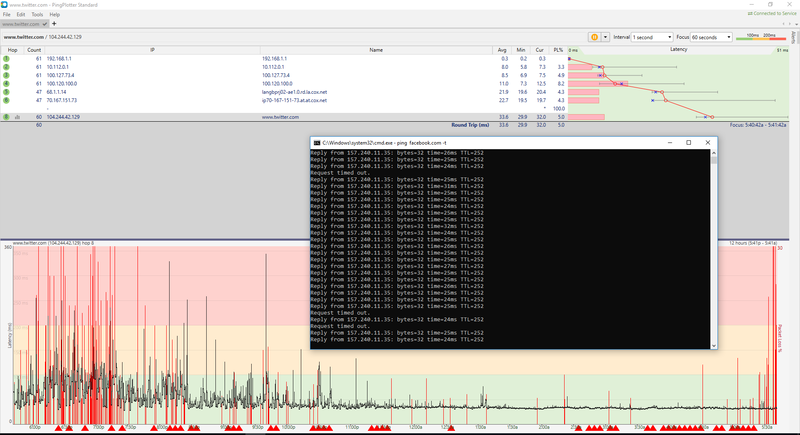 Try Ping Plotter - it's the program I used to narrow down the issues of packet loss and high latency during outages. You're reporting the exact same symptoms I had - which turned out to be bad Cox infrastructure/equipment in my area. Don't make the same mistake I did - get data right away, and have techs come out during peak times when the packet loss is likely to occur. If you see a trend (which I did this week), see if they can come out and test when packet loss is most likely to happen - and request an actual Cox employee. I'm not sure about Vegas, but the non-Cox/outsourced techs they use in the Phoenix area are very very very bad. In the course of troubleshooting this, I was told by an outsourced Cox in home tech that my problems were due to "having too many things plugged in". 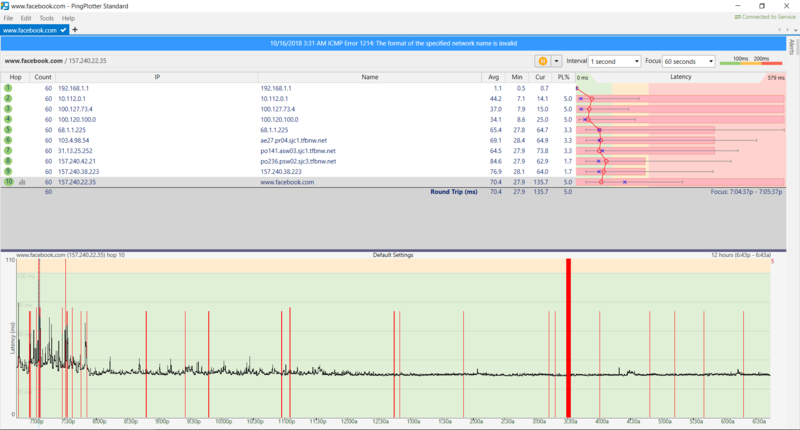 It took thirteen on site tech visits before Cox finally confirmed the packet loss issue while excluding my internal network. Thirteen. Most of which were outsourced technicians who wanted to get in and out as quickly as possible, to theoretically maximize the number of visits and subsequent payments they receive. I'm fairly sure you are if you're streaming - but testing while hard wired to your modem/router is the way to go. To vet my network I tested while hooked up directly to my modem and had data showing the issues persisted with that setup as well. Another thing to try would be to manually assign DNS servers. This didn't help me, but if Cox's DNS servers are problematic, it might help. Try 1.1.1.1 and 1.0.0.1 or 208.67.222.222 and 208.67.220.220. Both are low latency/reputable DNS servers.